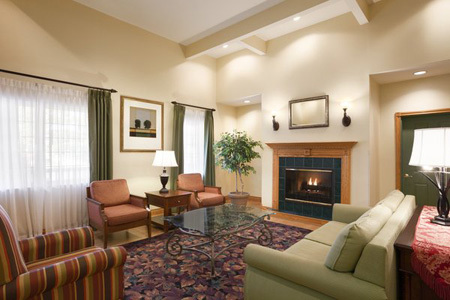 Book a comfortable stay about five miles from Western Michigan University at the Country Inn & Suites® by Radisson, Kalamazoo, MI. 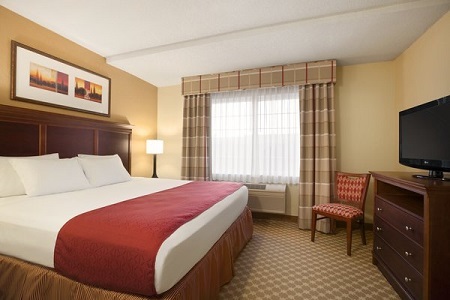 Just off I-94, our hotel is the perfect stopping place for business and leisure travelers flying into Kalamazoo/Battle Creek International Airport (AZO), about three minutes away. If you’re in town for a trade show or want to catch a hockey game, the Wings Event Center is less than two miles away. If you’re traveling with kids, reserve one of our King Suites and enjoy a private bedroom separated from a living area with a sleeper sofa. 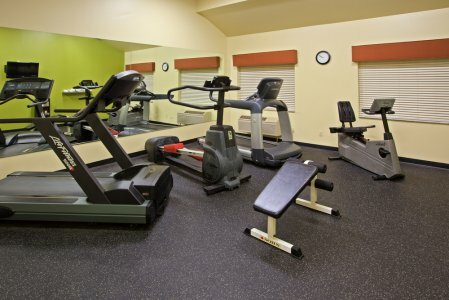 Thanks to the complimentary, hot breakfast, you can have a filling first meal of the day without leaving the hotel. Served in the lobby dining room, our free, hot breakfast features golden waffles, fresh fruit, muffins, coffee, yogurt and cereals. Later in the day, treat yourself to an excellent lunch or dinner at nearby restaurants like Bravo! Restaurant & Cafe, Kalamazoo Beer Exchange and Ray Rays Italian Beef and Sausage. Western Michigan University – Less than 15 minutes north of our hotel, WMU’s main campus boasts one of the largest aviation programs in the United States. The university is also home to Broncos athletic events and the annual International Congress on Medieval Studies. Downtown Kalamazoo – Head about 10 minutes north to the vibrant downtown area to see live performances at the Kalamazoo State Theatre or The Civic Theatre. If you’re a beer aficionado, stop by Bell’s General Store to pick up a growler and other Bell’s gear. Wings Event Center – Buy tickets to see hockey or basketball games and shows by celebrities like Alice Cooper at this arena less than two miles from the hotel. The center also hosts a variety of trade shows and conventions throughout the year. The Country Inn & Suites offers a practical, well-equipped space for your business meeting or personal celebration with up to 100 guests. 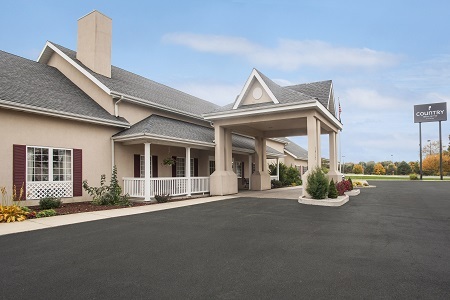 Less than a mile from Kalamazoo/Battle Creek International Airport (AZO) and just off I-94, our hotel is an ideal meeting spot for out-of-town guests. Ask our friendly, knowledgeable staff for help with audiovisual equipment rentals and catering recommendations. From I-94 East or West, take the Portage Road exit (Exit 78) toward Kilgore Road. Turn left onto Portage Road. Portage Road becomes Portage Street. Turn right onto East Kilgore Road, Kilgore Service Road.